“This Time”, the new video from the Swedish classic/progressive rock supergroup THE NIGHT FLIGHT ORCHESTRA — featuring members of SOILWORK and ARCH ENEMY — can be seen below. 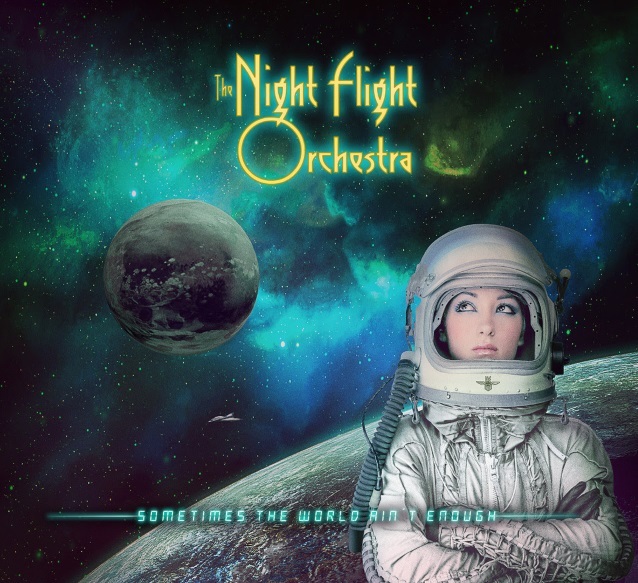 The song is taken from THE NIGHT FLIGHT ORCHESTRA‘s fourth studio album, “Sometimes The World Ain’t Enough”, which will be released on June 29 via Nuclear Blast. The disc was again produced by the bandmembers themselves and was recorded at Handsome Hard Music / Larsson Music Studio as well as Nordic Sound Lab in Skara, Sweden. Mixing duties were taken on by the band’s guitarist/percussionist Sebastian Forslund and mastering was done by Thomas “Plec” Johansson at The Panic Room. Just like 2017’s “Amber Galactic”, the LP will feature two different covers (see below) — one for the regular and the other for the limited edition. The limited first-edition digipack CD, as well as the vinyl, will include an exclusive bonus track. The Japanese version will also feature an additional cut. THE NIGHT FLIGHT ORCHESTRA said in a statement: “THE NIGHT FLIGHT ORCHESTRA returns with another chapter in their steaming space opera that began with ‘Amber Galactic’. “This time, the female space commanders want even more revenge than they already had, space is even more infinite, and the amount of champagne it takes to keep this navy afloat and adrift in the cosmos is probably illegal on most planets! “Never looking back, THE NIGHT FLIGHT ORCHESTRA boldly goes where no man or woman has ever gone before, and with this album, they’ve taken another step in their quest to elevate classic rock from being a music genre to becoming an immersive whole-body transcendental experience! 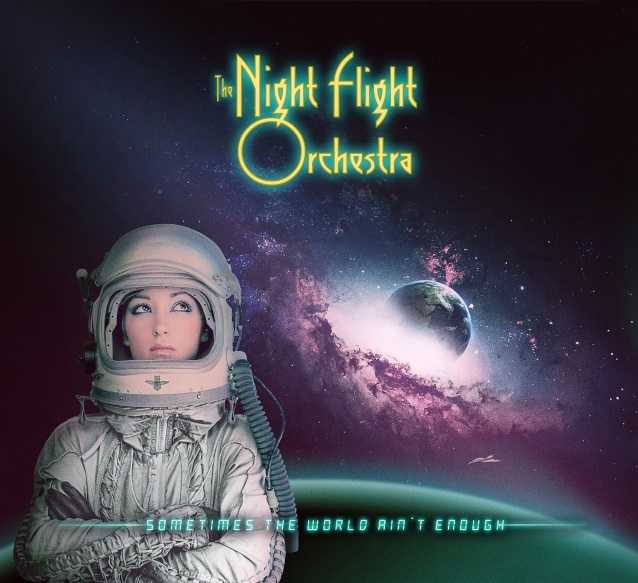 THE NIGHT FLIGHT ORCHESTRA‘s third studio album, “Amber Galactic”, was released in May 2017 via Nuclear Blast. The disc followed THE NIGHT FLIGHT ORCHESTRA‘s two previous releases, 2012’s “Internal Affairs” and 2015’s “Skyline Whispers”.